I sat down with two academics (a writer and an artist) who write and create professionally alongside lecturing. 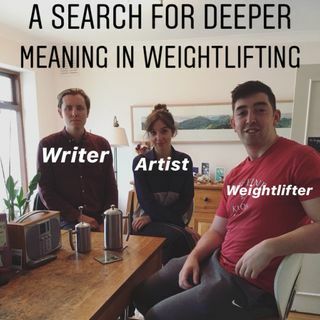 What started off as a basic description of weightlifting developed into a deeper search for the underlying desire to lift weights, and also the many similarities between their search for perfection in writing and art, and mine in lifting weights. I hope that you all find this particular episode as interesting and ... See More inspiring as I did. You can find out more about these two at the social media links provided below.